Here comes the Bride was captured in 2012 by Gig Harbors wedding photographer Unique Moments Photography. Is a great example of brides putting their personalities into the wedding image picture process. The bride loves horses and is a true Country Girl. 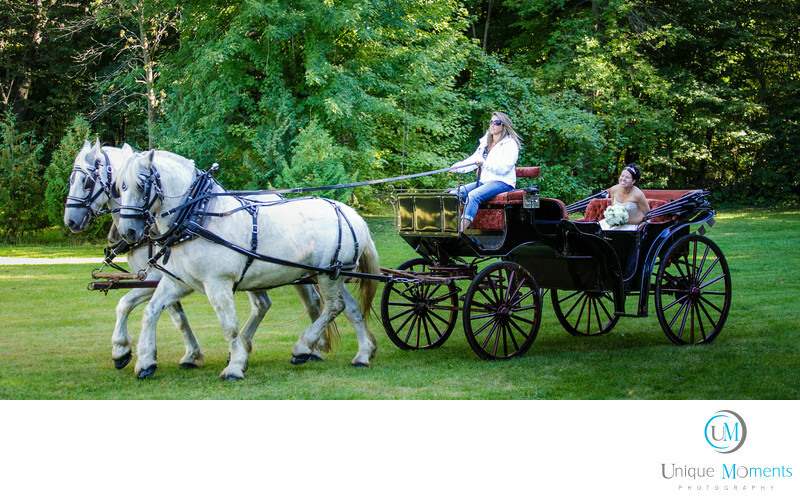 The Carriage was perfect for her entrance to their wedding. It was a Grand Entrance indeed and we enjoyed being part of this wedding.Keywords: Dayna and Adam wedding (6).